People with a social anxiety disorder (SAD) often struggle with substance abuse. About 20 percent of all people with SAD abuse alcohol and many more turn to drugs. For many of these, having a drink before socializing with other people gives them a feeling of sociability, likeability, and charisma. If you or someone you love suffers from addiction because of self-medication of your SAD, you need social anxiety disorder treatment in rehab. Social anxiety disorder affects just under 10 percent of all American adults. People with this disorder struggle in normal socialization, feeling uncomfortable and unable to communicate confidently. For these adults, SAD brings a fast heartbeat, chest pain, sweating, stomach pain, vertigo, breathing problems and inability to think or focus. The roots of their disorder start with low self-esteem. People with SAD intensely worry before trying to socialize. They struggle with relationships and meeting new people. In their minds, they fear embarrassment or judgment by others. This causes significant emotional stress. They also second-guess everything they say or do around others. People with this significant self-doubt and anxiety often turn to drugs or alcohol to make socializing feel easier. Early in substance abuse, they do not feel anxious or nervous. This makes them feel free to socialize openly. But soon their substance abuse takes a turn to tolerance and the drugs or alcohol no longer provide the same effects. In drug or alcohol tolerance, people with SAD realize the substances fail to help them unless they drink more or abuse a higher dose of drugs. Quickly effects wear off, and they need more just to satisfy cravings and prevent withdrawal from taking place. This is the quick and stifling grip of addiction. By the time addiction takes over, you need social anxiety disorder treatment in rehab. Only by treating both your mental illness and the addiction will you gain freedom from both. If you leave your SAD untreated, it just drags your addiction into relapse. People with SAD easily hide their substance abuse. They isolate themselves by nature, so it takes a while for people around them to notice the drug or alcohol abuse. 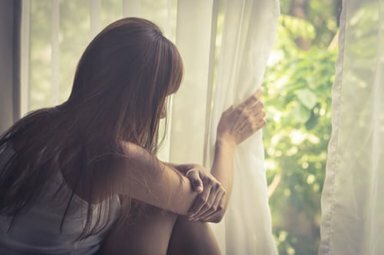 Symptoms of sad, including low self-esteem, shame, and guilt, keep them from seeking social anxiety disorder treatment or rehab for substance abuse for a long time. So friends and family struggle with how to get them the rehab and social anxiety disorder treatment they need. Social anxiety disorder treatment in rehab starts with detox. To begin working on mental and physical problems of addiction through therapy and other methods, your body must first clean itself of the drugs or alcohol. In a medically supervised detox to get the help you need for this withdrawal. Caring professionals keep you safe and comfortable throughout the process. After detox, you enter rehab and anxiety treatment. Having both of these problems is a dual diagnosis condition. This means you suffer two co-occurring conditions and need rehab for both. Your therapies in rehab after detox include helping you build self-esteem and a healthy self-image. You learn assertiveness and how to cope with your mental illness. You also learn about your addiction and how to use coping skills to prevent relapse. Through the right mix of therapies, education, and support in an accredited rehab center, you gain the addiction and mental health treatment you need. You need accredited help to take back control of your life. Social anxiety disorder treatment along with addiction treatment is available at Morningside Recovery. Call us now at 855-416-8202 for the help you need today.